In hunt of their first podium finish in 2018, the Monster Energy Yamaha Factory Racing Team heads to Agueda, Portugal this weekend for the fifth round of the FIM Motocross World Championship where Romain Febvre and Jeremy Van Horebeek look to improve their current 4th and 7th place positions in the MXGP Championship Standings. The weather forecast for the MXGP of Portugal is looking less than desirable with the already saturated circuit expected to receive even more rain over the next few days. Rain or shine, Romain Febvre and Jeremy Van Horebeek will be ready to tackle the fast, flowing and spectacular red-dirt of Agueda onboard their YZ450FM’s. Wilvo Yamaha Official MXGP’s Shaun Simpson is a name that is synonymous with wet and wild mud races having claimed Yamaha’s first and only Grand Prix win of 2017 in sea-deep mud of Indonesia. While most riders will be dreading the weather conditions, they may work in favor of the man from Dundee, Scotland. Mud will make the circuit slower and far more technical, which will be just what the doctor ordered for ‘Simmo’ who is nursing a minor shoulder strain. As for Jeremy Seewer, it will be another weekend of learning and firsts. The 23-year-old rookie is like a sponge; soaking up the experience of racing in the premier class on a bike that is 100% new to him since joining the Wilvo Yamaha Official MXGP Team. Embracing the challenge and loving every minute he spends onboard his YZ450F, the Swiss talent is currently 8th in the MXGP Championship Standings. Another thing to look forward to is the return of Portugal’s most successful motocross rider, Rui Gonçalves. The former vice MX2 World Champion will be lining up in the premier class on a YZ450F and will be the only Yamaha rider – that is racing this weekend – to have won a Portuguese Grand Prix – he won the 2009 MX2 Grand Prix of Portugal at this exact same circuit, Agueda. In MX2, the Kemea Yamaha Official MX2 squad will be looking to continue their top-10 momentum with their young and talented trio of Vsevolod Brylyakov, Ben Watson and Jago Geerts. 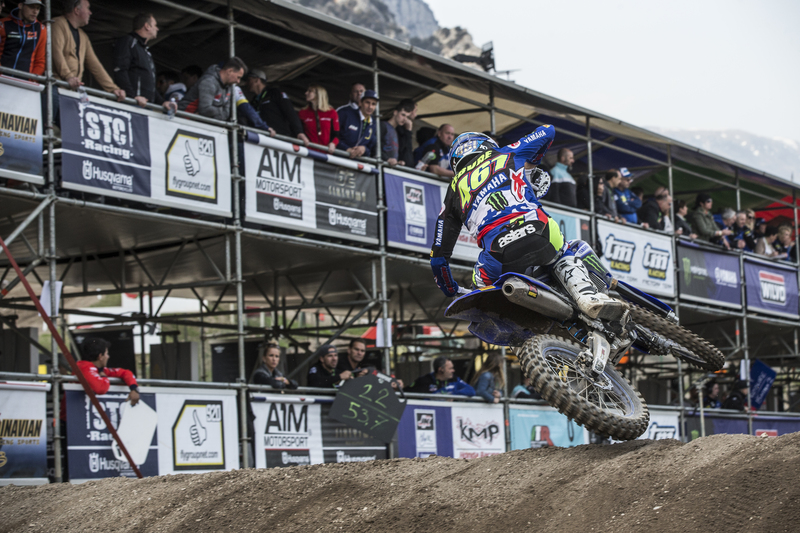 Fresh off a top-3 finish in the most recent MX2 race – in Trentino, Italy – Vsevolod Brylyakov is excited to line-up on another hard-pack circuit where he hopes to build on his recent success. Ben Watson has had the podium in his sights since the opening round. Currently 4th in the MX2 Championship Standings, it will only be a matter of time before the Brit takes home a piece of silverware. Meanwhile, the best placed rookie of this season, Jago Geerts will be satisfied with another top-10 performance. Following the success of the opening round, where all three of Yamaha’s Official WMX riders, Courtney Duncan, Kiara Fontanesi and Nancy van de Ven tied on 40-points for 2nd overall, the women will line-up for round 2 of the FIM WMX World Championship this weekend. All three super-ladies are 5-points shy of the championship leader, Larissa Papenmeier. Supporting the world championship classes, ASTES4-TESAR Yamaha Official EMX250 will take to the track as well for the second round of the hotly contested EMX250 Championship. Roan van de Moosdijk leads the charge, currently 8th place in the championship standings, but it’s teammate Nicholas Lapucci who, despite sitting 25th place in the current classification, could be the dark horse having finished 5th place in Race 1 in Agueda last year. The first grand prix to take place on the challenging and technical circuit of Agueda, Portugal, was back in 1985. Since, the venue that is situated 240km north of the country’s capital, Lisbon, and only 72km south of Porto, has been completely revamped and has gone on to host 20 rounds of the FIM Motocross World Championship. If the rain holds off, the first race will be WMX Race 1 and it will take place on Saturday 14th April at 15:25 (BST), followed by the Qualifying Races for MX2 at 16:25, and MXGP at 17:10 with gate-drop for the first EMX250 race of the weekend wrapping up Day 1 at 17:55. July 24, 2018 Michael Le Pard News Comments Off on BMW Motorrad Enduro Park Hechlingen celebrates its 25th anniversary.